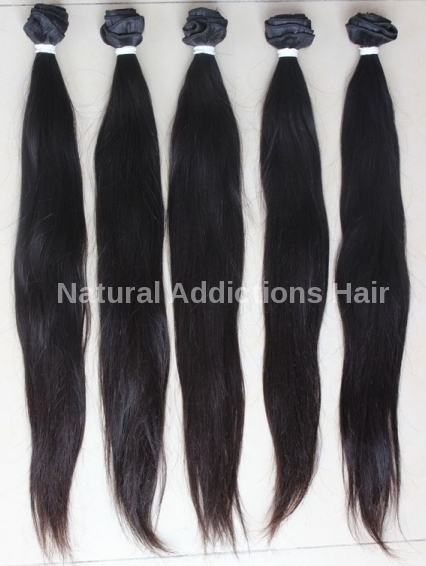 Add the length you desire with our Virgin Indian Straight hair bundles and pair it with our virgin Indian lace closure or lace frontal for a more natural look. 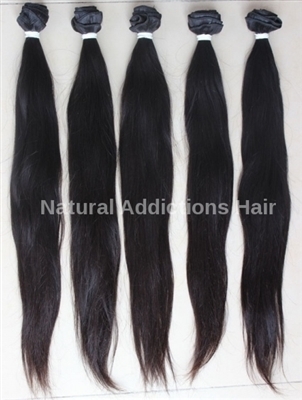 Indian Hair is the most readily available hair on the market. This hairs density is a fine texture and low luster. Its naturally light and bouncy and can be easily styled. Indian hair moves effortlessly with minimal products. It also blends nicely with most hair textures including African American straightened textures. This hair can come in textures from silky to slightly coarse. This hair will swell and become frizzy in humid conditions or fog and will need extra attention. You can reduce this by using anti-frizz products or a smoothing serum.